Business have a lot of things on their plates, and making sure that your company supplies are in order and that you’re getting a good deal on your supplies are headaches your company shouldn’t have to deal with. Luckily, Tri-State Business Systems is a leading pharmaceutical label distributor. Between a vast inventory of thermal and direct barcode labels, ribbons for printers, printers, and barcode scanners, Tri-State Business Systems has what you pharmaceutical label supplies. We have all the supplies you will need in order to keep your business running smoothly. Our services will effectively take the hassle out of finding quality barcode supplies for your business, especially if you need materials like a pharmaceutical label or cleanroom labels. With the wealth of options that exist out there, it makes sense to cut through all the mess and order from someone who has years of experience. The Tri-State Business Systems staff has over 20 years delivering barcode supplies to Fortune 1000 and 500 companies and go with a company who knows what they are doing. We offer services all across the nation, so contact us if you need assistance. 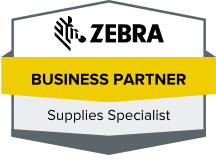 If you’re looking for a great deal on barcode supplies, especially for a pharmaceutical label or cleanroom labels, then Tri-State Business Systems is the place for you! Contact us today to get a quote!